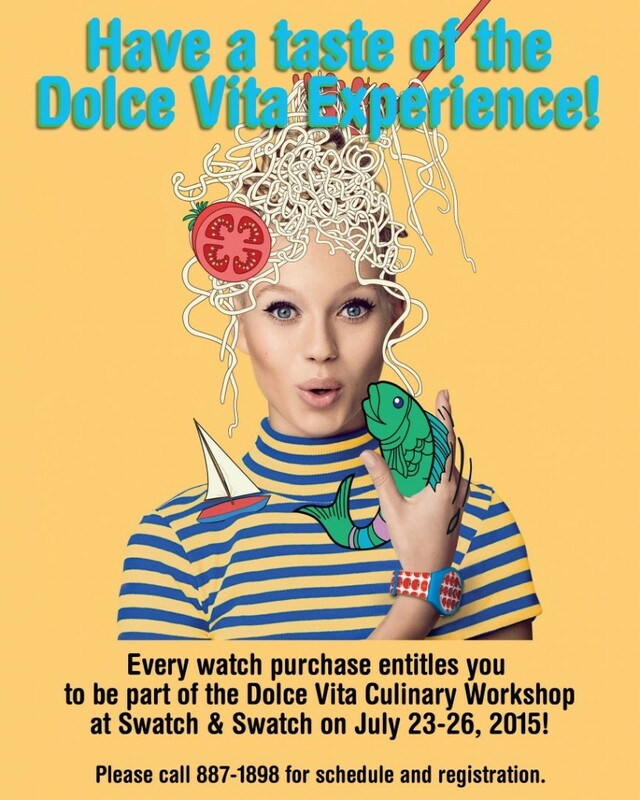 Have a taste of the Dolce Vita Experience! | Vespinoy! 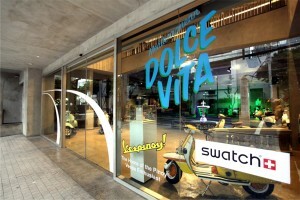 Dolce Vita is the “Sweet Life”. 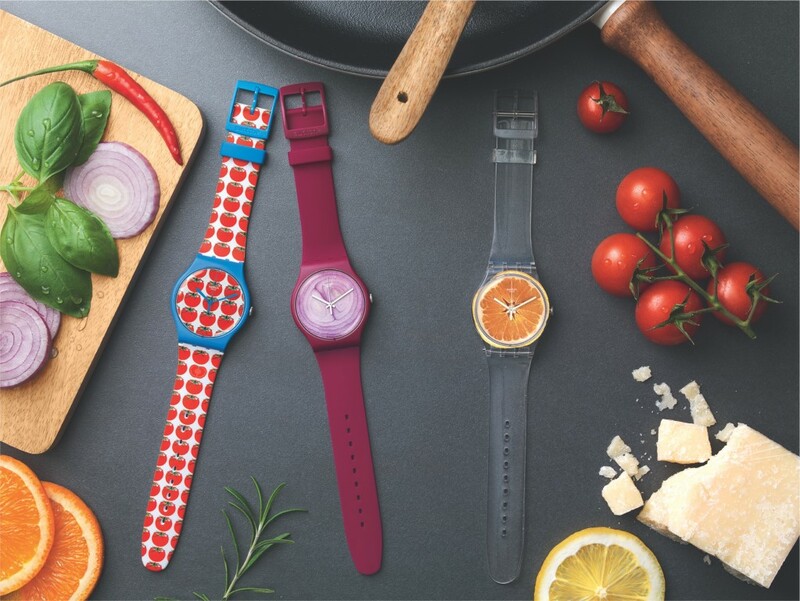 To celebrate this, Swatch created a delectable line of watches to express this Italian proverb by going back to the basics. A simple but sweet orange, a vine ripened tomato, a tangy onion or even a consumed sardine depicts the pleasure of a fresh, simple but satisfying meal. 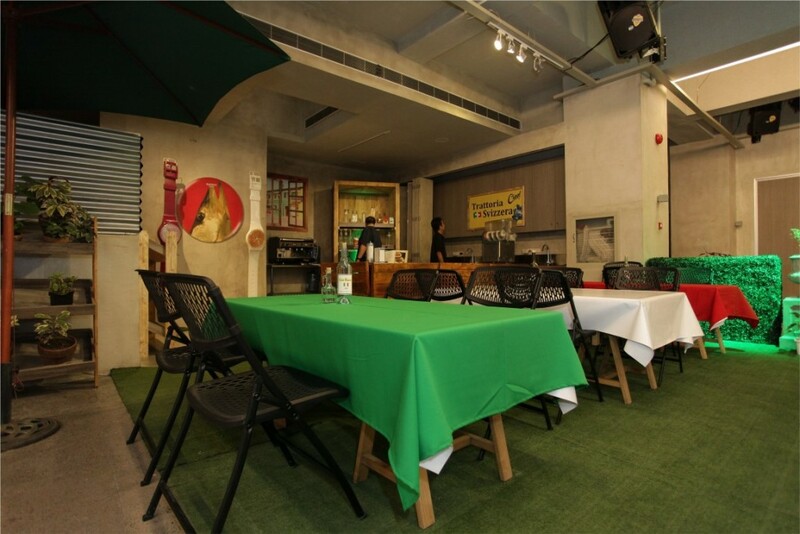 Good food, to the fun- loving Italians, is the foundation of a good life. 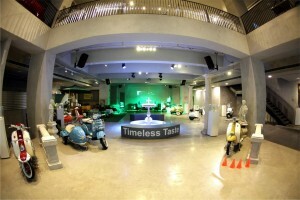 To complete the Dolce Vita experience, Swatch, together with Vespinoy hand picked classic Italian Vespas and Lambrettas to exhibit. 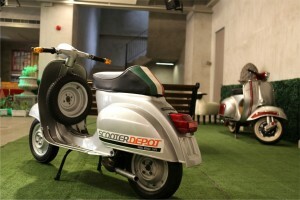 These impeccably restored two- wheeled masterpieces are a sight to see. 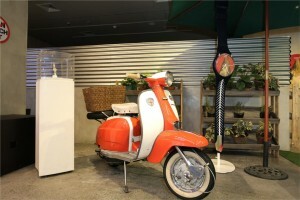 Come and visit the Classic Vespa exhibit at Swatch & Swatch and experience the Dolce Vita lifestyle! 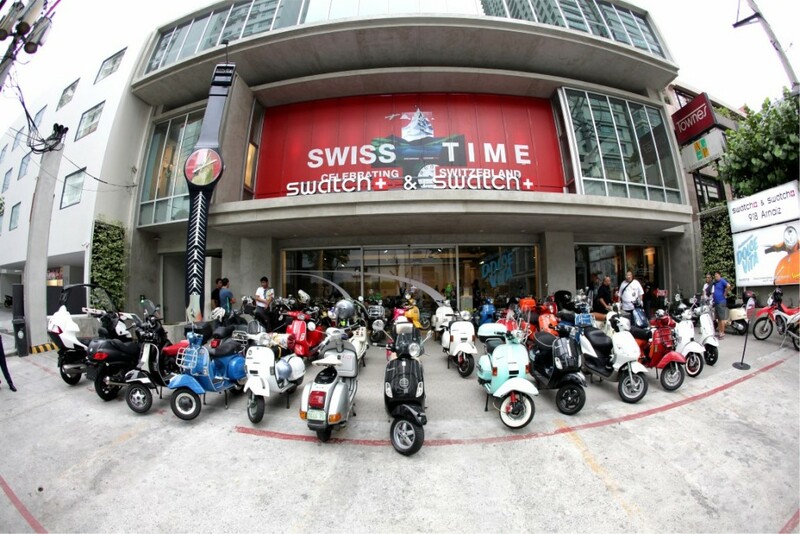 Swatch & Swatch is located at 918 Arnaiz Ave, Makati and is open daily from 11:00am – 7:00pm only till Sunday, July 26. Mediterranean Dolce Vita celebrates color, flavor and energy. This watch collection is inspired by the joys of travel and palettes of tastes that entice the tongue and wonderful company around the table. Tomatella, Onione, Vitamine Boost and Sardina bring nourishment alive in a trendy, tasty way. Together they complete a menu, and individually they tantalize the taste buds and serve as a vibrant sight for sore eyes – a truly sensory experience.